Last Sunday, we had our annual family BBQ! We try to do this every year because that’s actually the only time we get to see everyone. I see my close relatives quite often but my mother’s aunts and cousins not so much. My favourite thing about the BBQ (except for the meat) is the fact that everyone (well, not everyone but you know what I mean) brings food! This year, I made my famous Brownies! 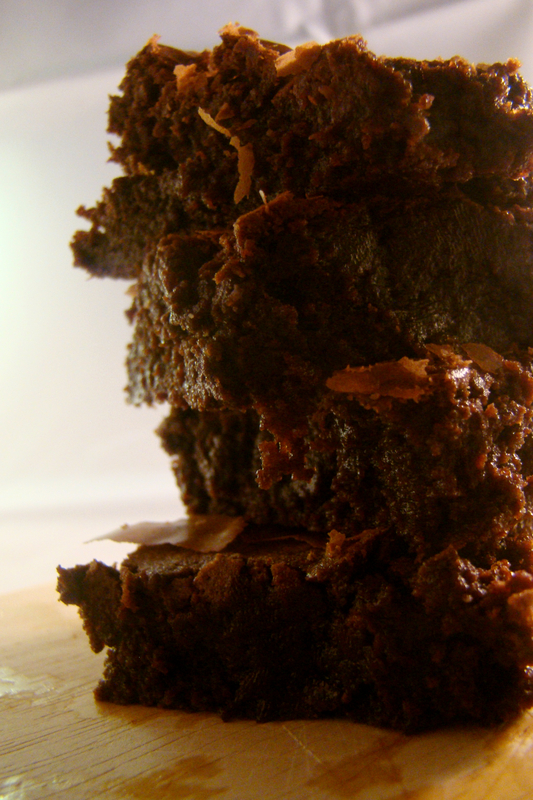 Brownies are just perfect for this occasion because you get a lot in no time! 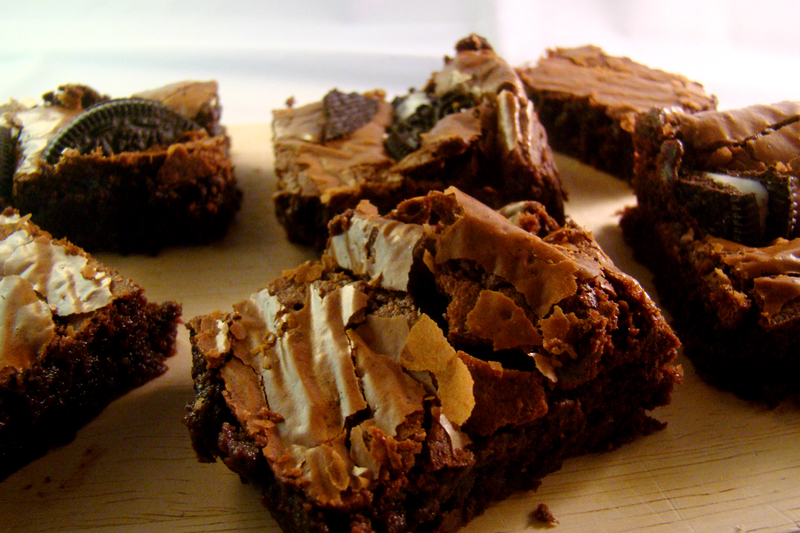 Brownies make your life so much easier! My batch serves about 20 portions! But it is a dessert buffet so if everyone took a piece of every dish, I think we had to roll everyone home! 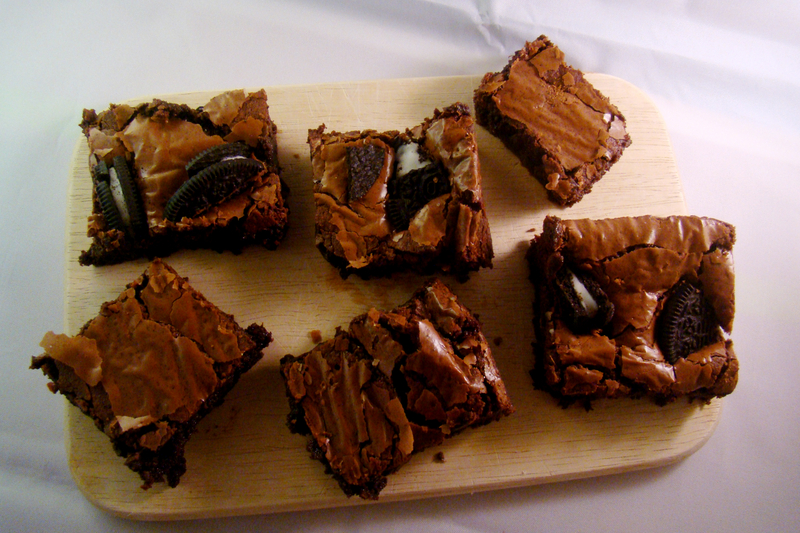 This year, I decided to make half a batch with oreos… YUM! 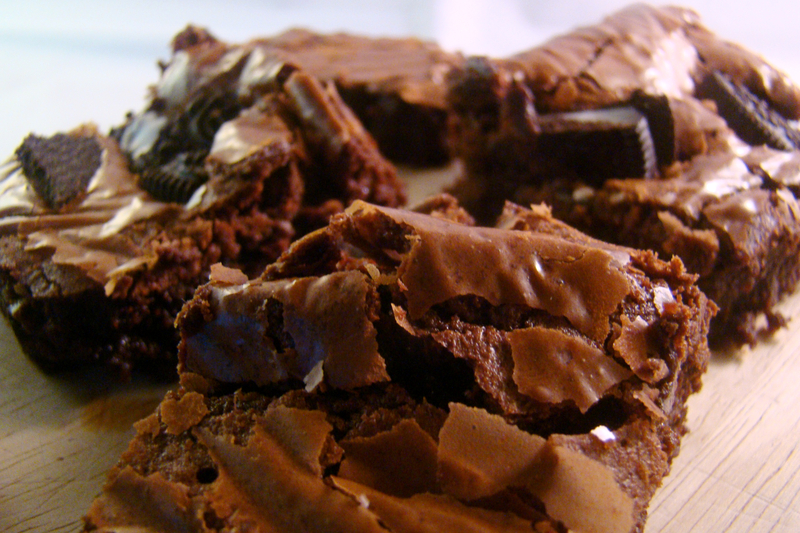 These delicious Brownies are perfect because they have that fudgyness! If you break a piece in two, you’d see these little fibres for a second and then they’re gone. Put the chocolate and the butter in a bowl. Put them in the microwave for about 2-3 minutes (until they’re almost completely melted). Mix the sugar together with the eggs until you get a smooth batter. Add the melted butter-chocolate-mixture and mix it together. Add the flour and mix until everything looks mixed well together. I don’t butter my baking tin. I just put a sheet of baking paper in it. Put the batter in the baking tin. If you want to add some oreos, cut them in four and put the little pieces on/in the batter. Bake the Brownies for about 30 minutes at 180 degrees centigrade. 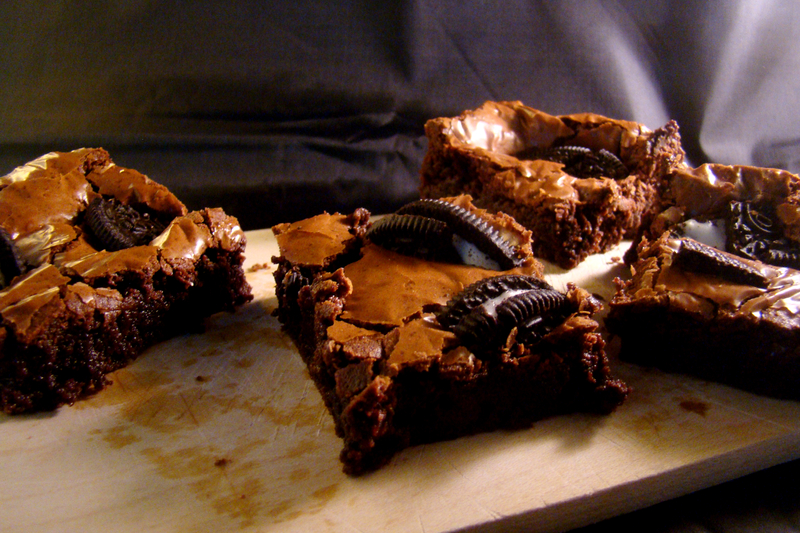 Check the Brownies by using a sharp knife. If it comes out clean, your Brownies are done! Let them cool in the baking tin and afterwards on a rack. These look fabulous! But what is sugar candy?